The beautiful village Sant’Agata sui Due Golfi is situated in the hills of the Sorrento Peninsula, on a ridge above the Bay of Naples and the Gulf of Salerno. The Neapolitans love this place, because you can enjoy a wonderful panorama view of the surrounding hills and the sea. Since the mid-19th century, the village is popular with travellers for its healthy climate, beautiful landscape, and the hospitality of its residents. 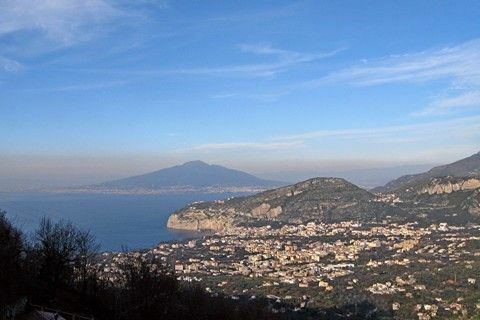 Sant’Agata sui Due Golfi (390 m. above the sea level) between the Sorrento Coast and the Amalfi Coast is a good starting point for trips and hikes into the scenic surroundings. Worth visiting is the Benedictine monastery San Paolo al Deserto where you have a great panorama view of the Gulfs of Naples and Salerno. located at the Piazza and among the twelve of Italy’s most famous restaurants. The “new cuisine” developed by Livia and Alfonso Iaccarino is exclusively based on fresh South-Italian products, which are in part from their own gardens. 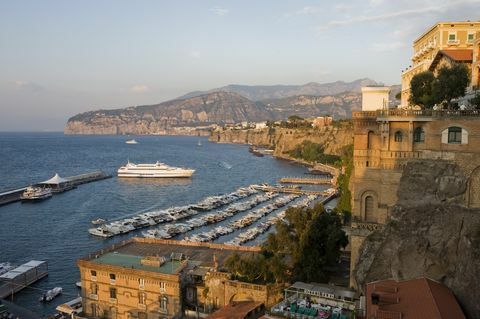 Sorrento is only 9 km away and can be reached on foot in about half an hour via several different beautiful trails. In only five minutes by car you reach the typical small fishing village of Nerano, where you can try fresh fish dishes and rent boats. There are also beaches and lidos open to the public. The fishing village Massalubrense with its small harbour isn’t far away either. And it is also easy to take trips to the Amalfi Coast with its towns Positano (14 km), Ravello and Amalfi (30 km). Sant’ Agata sui Due Golfi has direct access to public transportation in the form of busses, which also go to Sorrento. In Sorrento is a train station where the regional train Circumvesuviana leaves for Pompeii and Herculaneum (half an hour) and for Naples main station (ca. 1 hour).